Blub & Blob. Inspired by Puzzle Bobble. Booze themed. Features Karaoke! Accurate timing needed. Catchy Orbit. SPACE bar alone is enough to get from stage 1 to 22. Brilliant low pressure game. CTRL+F for full-screen. Chirality. SPACE or Click when a petal matches another. Choose "PEACE MODE" for slow play or "PANIC MODE" for hard. Fairy Fields. SPACE to choose a colour. Try to match those around you in the top left area. Use options for an easier game. 1 or 2 players. 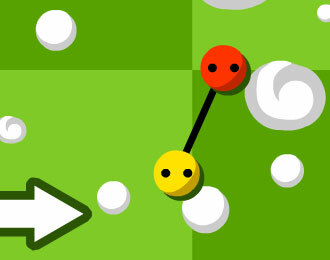 Flabby Physics is a bouncy physics based puzzle. Requires fast and sometimes held presses. 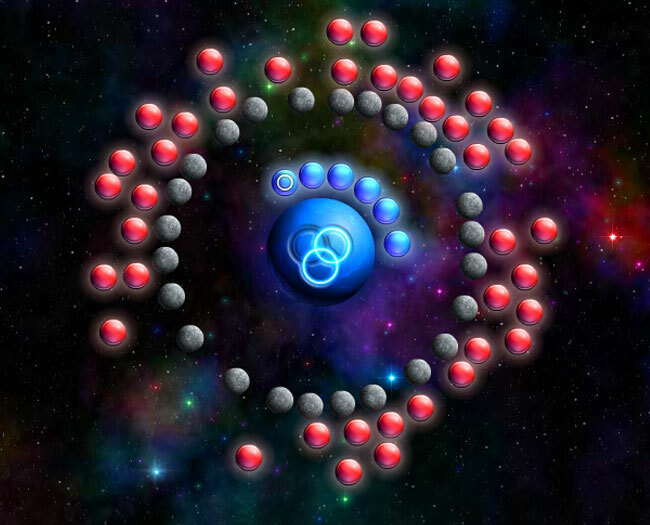 Gem Elimination is a Bejewelled match three type game. Short Gem Elimination video here. Gimme Friction Baby. Avoid your shots bouncing back past the dotted line. Burst balls by hitting them 3 times. Left-click. 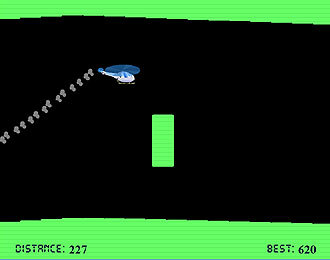 The Helicopter Game is an extremely difficult game of skill. Inspiration for many games that followed. Left-click. JazzBall. 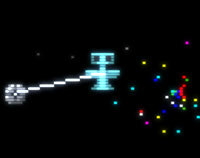 Inspired by Qix and playable in a variety of ways. Review here. Jet Stream Trader. 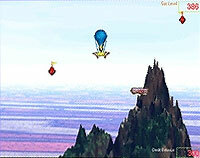 Guide your balloon using air currents to fetch and deliver items. Manik Minis. 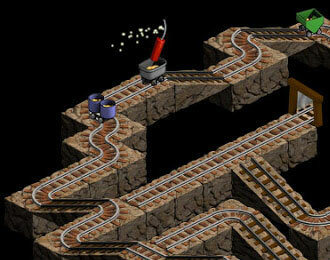 Dozens of fun mini games for one button fun. Requires quick reactions. Mind Winder. 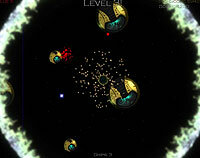 Guide a spiralling creature through various mazes. Requires very accurate timing skills and fast button presses. Mystic Mine. Brilliant 1-6 player game with full one-switch mode and speed control. Never Ball. 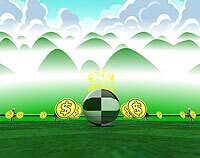 One switch version of Super Monkey Ball. SPACE BAR = Turn left, tilt down, turn left. Video here. One Switch Ballz. Roll and bounce to the end of tricky courses. Requires very accurate timing skills. Puz. 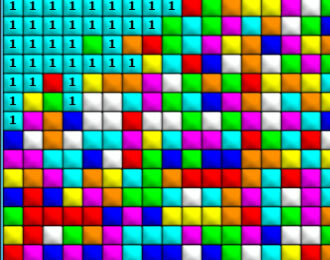 Match coloured blocks. Hold to move. Tap to select a block to move. Rotobo. Hold to jump higher. Time to reach the green targets. Tricky. Requires mouse-pointer to start games. Ropor. Hold at the right time to swing, tap to leap, tap again to grab a nearby point. Tricky. Spacebar Spaceship. 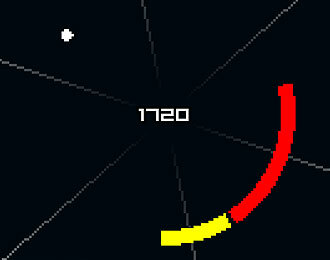 Last as long as you can dodging and destroying asteroids. Strange Attractors. Space bar activates the attractive force between you and other objects. Try to escape. Strange Attractors 2. Brilliant sequel. Struck Gold!!! Grab-a-toy crane type game. Requires fairly quick reactions. FlyingmonkeyC Entertainment (aka Carlos Ramos). Swing. 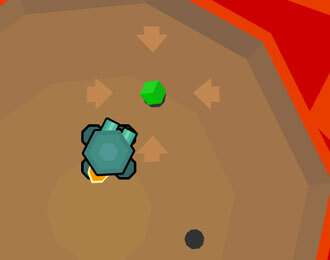 Control the latching of a spinning rod to collect coins. Requires accurate timing skills. Tchou Tchou. 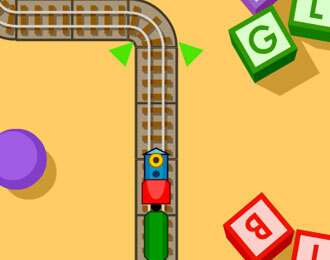 Control the points with left-click to keep the toy train running. Requires mouse-pointer to start games. 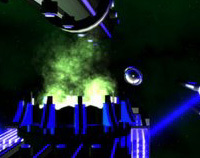 Tera Turbine. A nicely accessible target game. A bit quick though. Twin Spin 1-3. Timed race game to reach a target. Requires mouse-pointer to start games. Wheelkling. No rush game of skill. Requires good or lucky timing. Click or any-key to launch. 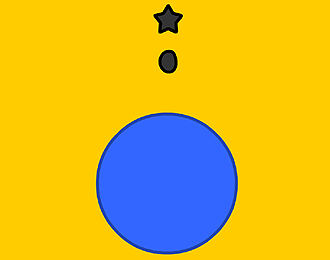 If you fail to pick-up a dot, you'll lose a life. Wizard Battle. Fantasy strategy. SPACE BAR (player 1) RETURN (player 2). Requires held presses and accurate timing.